Last Thursday evening, I attended the Andreas Gursky’s exhibition (March 4th – May 1st 2010) at the newly expanded Beverly Hills Gagosian, designed by Richard Meier and Partners. 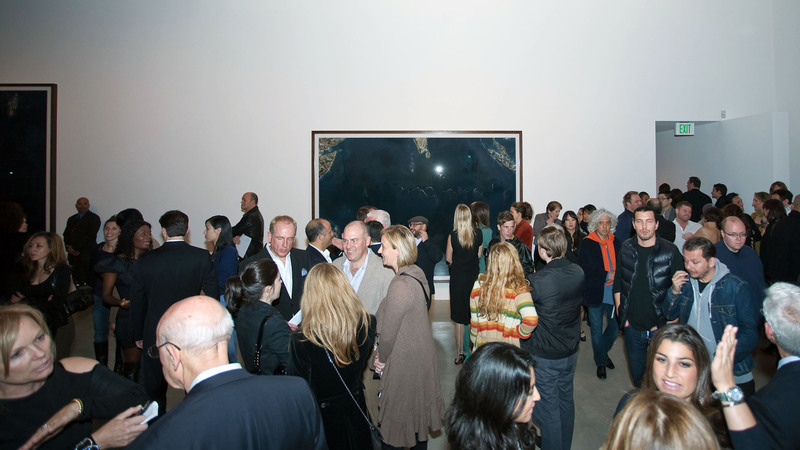 It’s more than a coincidence that Andreas Gursky, whose 99 Cent ll, Diptych (2001) photograph holds the auction record for the most expensive photograph ever sold ($3.3 million at Sotheby’s in 2007), is the first artist to exhibit in the newly expanded Beverly Hills gallery. Gursky’s large-scale color photographs of trading floors, hotel lobbies, raves, and landscapes are excellent at portraying the busy obliviousness of modern life. The magnitude of his photographs charges them with a sense of drama that is easily likened to the 18th and 19th century tradition of history painting, figures feel frozen, compositions seem staged and structures become patterns. In Gursky’s photographs, it is the Camera’s unique position that helps him keep his firm grip on the world. 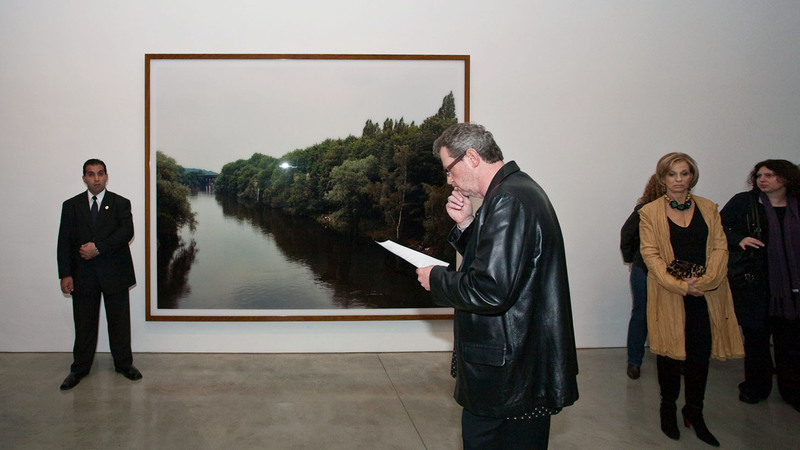 Often, Gursky places his lens high above, far away, on cranes, or even on helicopters. 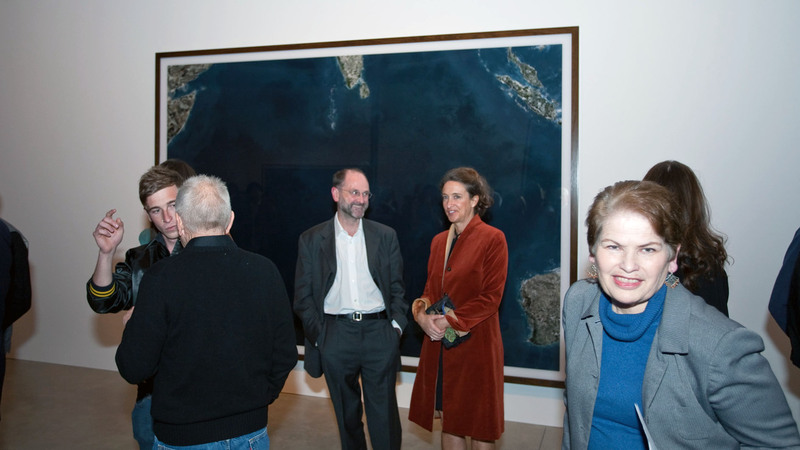 In Ocean, Gursky’s newest series, the camera’s position is taken to new and sorrowing heights. For the first time, here, Gursky has stepped out from behind the camera to render photographs of the earth taken by satellites orbiting the world. The photographs feel larger than ever before, averaging some eight to ten feet, accentuating the very vastness they represent. A crust of the Arctic Circle, the edge of South Africa and other landmasses drifting off the very edge of the frame, emphasizing the enormous expanses of a world we now tend to think of as tiny. 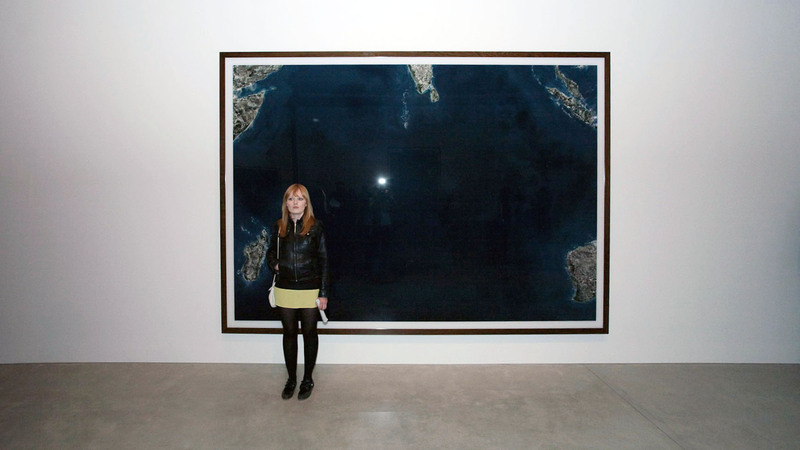 Standing in the midst of Gursky’s Ocean installation, is an ‘unearthly’ art experience. All at once you are surrounded by oceans and immersed in the emptiness they represent. The impeccable installation of Ocean, mirrors Gursky’s interest that is not in the individual person, but in the human race and its environment. 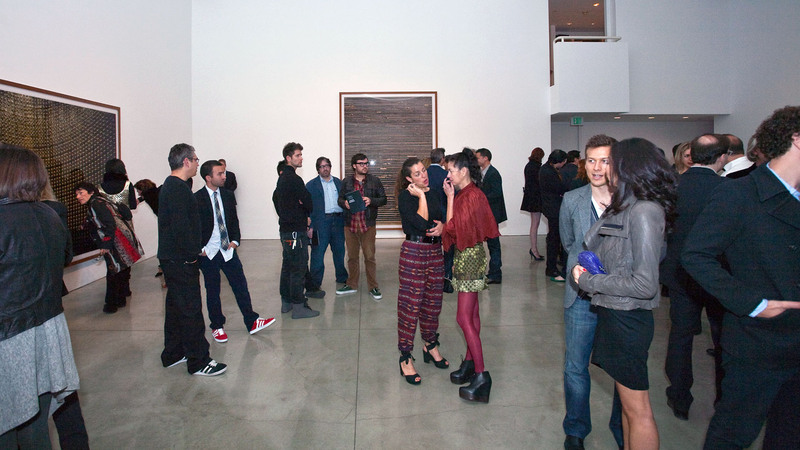 I must digress, to mention the eccentric crowd of rich and famous people that came out to celebrate the Gagosian’s newly opened space (the Los Angeles blogosphere, namely Smashbox Studios and Arrested Motion were buzzing about this). 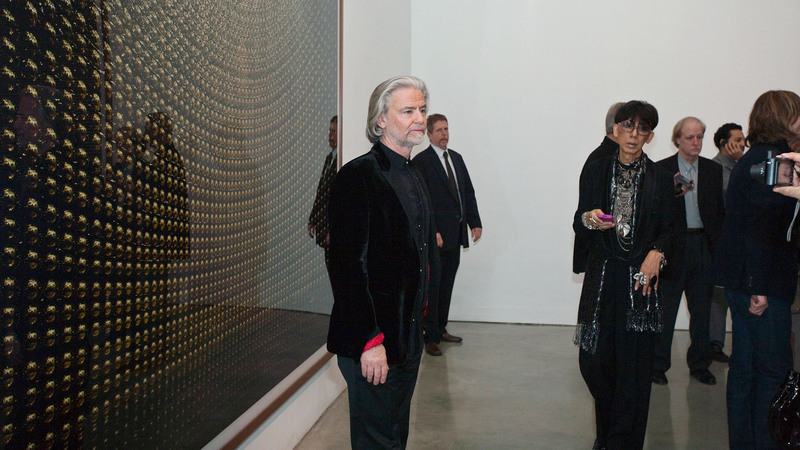 Artist Andreas Gursky, Larry Gagosian, John Waters, Diane von Furtensburg, Vera Wang, Adrien Brody among other notably famous individuals packed the Gagosian Gallery. The star studded crowd emphasizes Larry Gagosian’s undeniable position at the top of the art world as mega-dealer to the superrich and famous. The sun never sets in the Gagosian Empire with galleries in New York, Los Angeles, La Jolla, London, Athens, Rome and Hong Kong. Cool review. Very interested in seeing this new body of work taken to a new height. No pun intended. Seeing the people was fun but wish there was more of the art. Thanks for posting. wish i had more time to go to the openings! excited to see the new gagosian space..